Incorporating patio pavers into your Pasadena, Maryland, landscape is a sophisticated way to add a touch of personality as well as boost your home’s overall curb appeal. And when area homeowners are ready to have patio pavers installed at their residence, they know to turn to Allmaster Home Services. Since 1987, we have helped residents throughout the region achieve their home improvement goals through our commitment to providing superior products and our unwavering dedication to customer satisfaction. Our expert outdoor living professionals have undergone the extensive training that enables them to turn your landscape dreams into a reality. 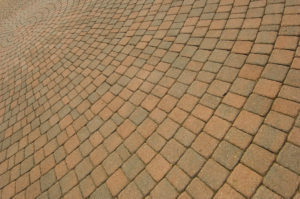 As your patio paver installation company, we will begin by first discussing the exact look and design you want for your new landscape addition. Whether you would like to create a welcoming walkway, upgrade your patio, or design an entirely new driveway system, Allmaster will work with you to ensure the finished project meets all of your requirements and provides unmatched aesthetic appeal. To learn more about the variety of patio pavers we can install for homes in and around Pasadena, MD, contact Allmaster Home Services today.